Deep space expeditions may come to a halt if NASA cannot acquire more of a specific type of fuel. 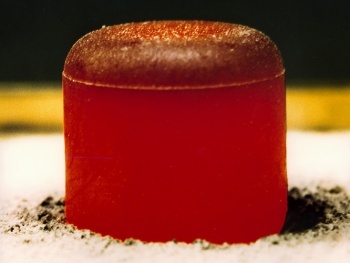 NPR reports that NASA is running low on plutonium-238, the type of hot-burning fuel required for deep space exploration where solar power cannot be relied upon. Current supplies could get NASA through its next few missions or so, but once they are used up, deep space exploration could completely stall. It might not happen for a decade, but that doesn't mean that there isn't a sense of urgency behind NASA's need to restart production of plutonium-238. However, Congress does not seem to place plutonium-238 production high on the budget list, as they've given no indication that any more than $10 million may be allocated, when more than $150 million may be needed. The U.S. has not created any plutonium-238 since the 1980s, when it was a byproduct of Cold War activities. Purchasing the fuel from Russia is no longer a possibility either, due to Russian supplies also drying up. Alan Stern, chief scientist for NASA's New Horizons probe, says that the New Horizons would never be able to journey to "Pluto in the Kuiper belt, where the sunlight is a thousand times lower and the temperatures are close to absolute zero," without plutonium-238. 10 years may be a long time, but the sense of urgency is still there right now according to Stern and other planetary scientists. Maybe we should ask Doc Brown where he gets his?